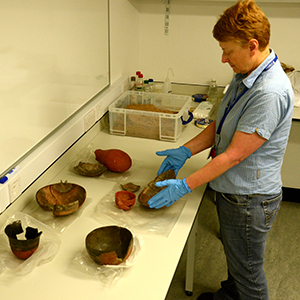 A major refurbishment of basements running below buildings across an entire side of Abercromby Square has delivered modern, spacious laboratories packed with all the latest technology for the University of Liverpool’s Department of Archaeology, Classics and Egyptology (ACE). The extensive, interconnected space features multiple areas for postgraduate research, a brand new Palaeodiet laboratory, an Imaging Suite and Ancient Technologies Workshop, a Geographical Information Systems Lab, a Scanning Electron Microscope facility, a Microwave Plasma Atomic Emission Spectrometer (MP-AES) Laboratory, Lithics Lab and Sample Preparatory Lab, alongside a Weighing Room, specified technician workspace and eleven store rooms. In addition, a new Microscopy lab has been created on the first floor. Head of ACE, Professor Doug Baird said: “The new Professor Elizabeth Slater Archaeological Research Laboratories and equipment will allow staff and postgraduate researchers to more effectively investigate how ancient artefacts were manufactured, the sources of the materials from which they were made and the identification of plant species used for building, fuel and food. 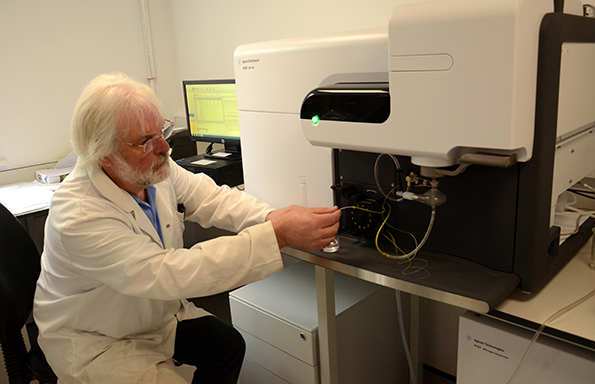 The new Atomic Spectroscopy machine – Agilent 4200 MP-AES – is the first of its kind in the north of England, and one of only six currently in use in the UK. It will vastly improve compositional analysis, enabling more precise determination of trace elements as well as improved characterisation of ancient materials, including ceramics, metal and glass. 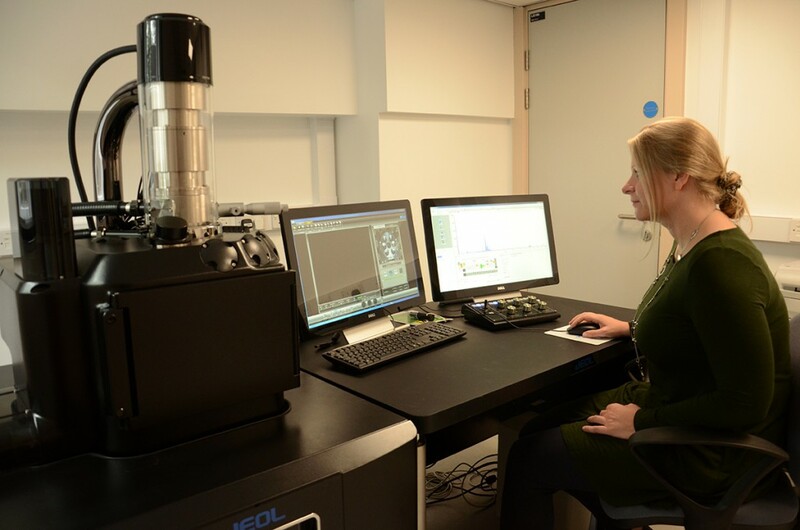 Also now in place is a new generation JEOL IT300 Scanning Electron Microscope (SEM), which will allow for more precise identification of material structure as well as non-destructive analysis of whole artefacts, thanks to its large sample chamber. Computational modelling, examination of the relationship between ancient peoples and objects and the development of historical geographies of everyday life will also be made possible with the installation of Geographic Information Systems and Visualisation Suite. University of Liverpool Garstang Professor of Archaeology until her retirement in 2007, Professor Elizabeth Slater was a prominent figure in archaeology nationally and internationally, and made a significant contribution to research on archaeometallurgy. She was also a member of key committees of all the important relevant UK research councils and other key funding agencies and public bodies. 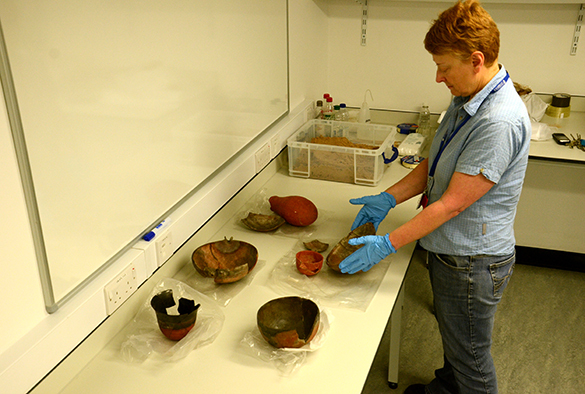 The new facilities, named in her honour, will be available for use by all in ACE, and will enable even closer work with the staff and artefacts held in the University’s extensive collection of internationally important archaeological material housed in the Garstang Museum. This looks like a great resource for the Faculty, and good to see a respected colleague, Liz Slater, honoured in this way. I know from colleagues in the former Faculty of Arts that she made a difference there, including as its Dean.